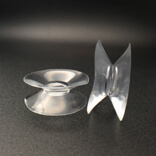 2 sided suction cups. 30mm diameter. 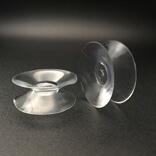 We have seen that double side clear suction cup can be used in almost all places such as refrigerators, car glass tiles, bathroom, shower, etc. People can use this product category on smooth, nonporous surfaces such as tile, glass, stainless steel, and fiberglass. 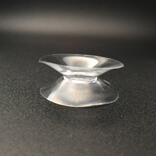 You can use this double side suction cup to hang attractive things in cars, homes and office. Before fixing the suction cup, you have to check whether the surface is clean or not. It firmly attaches when the surface or material is clean. Shenzhen KingFar Company is the sub-company of KingFar industry located in China. This company is one of the leaders in making high-quality household products. They are developing innovative products which are liked by the most of the customers. KingFar is the best manufacturers of suction cup hooks, and they exported their items to various countries such as Europe, US, Japan, and Korea. 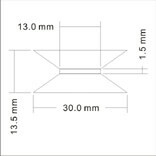 The secret behind this company has professional and highly experienced product designers. This company develops unique products and satisfies the customer needs. 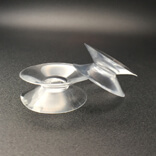 This product is made of plastic, and the size of this suction cup is 30 mm in diameter. Kingfar manufactures all their products with neat and clean silicone or plastic finish which attracts the spectators. If you are using this product in refrigerators, it can withstand as low as -20 degree Celsius. If you use this product in normal places, it can withstand the temperature as much as 80 degrees. Now a day there is the huge demand for KingFar’s products in Amazon, Walmart, Flipkart, etc. If you want to make your home beautiful, buy this product as soon as possible. We can use this product for both households as well as commercial applications.